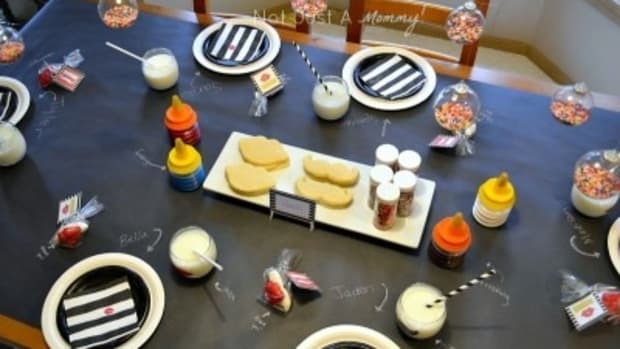 It’s not too late to put together a fun get-together with a few friends, or as I like to call them, ‘glorified playdates’. 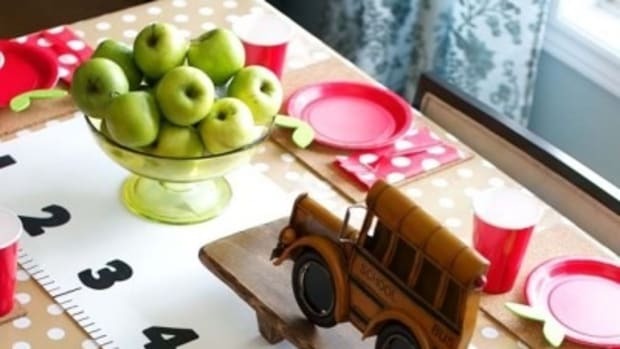 Check out a few of these Back To School shindigs that are high on the fabulous and low on the dollars, and all start the new year with a bang. 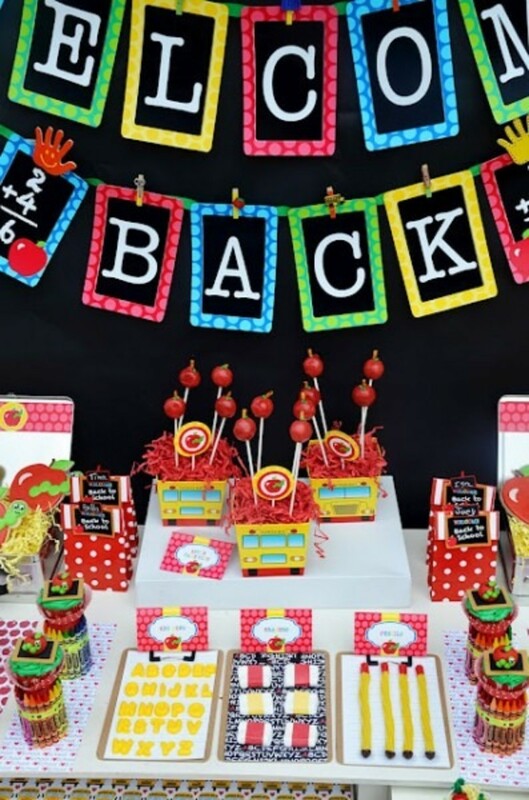 Gwynn Wasson Designs never disappoints when she unveils a new party like her latest Blast Back To School collection. 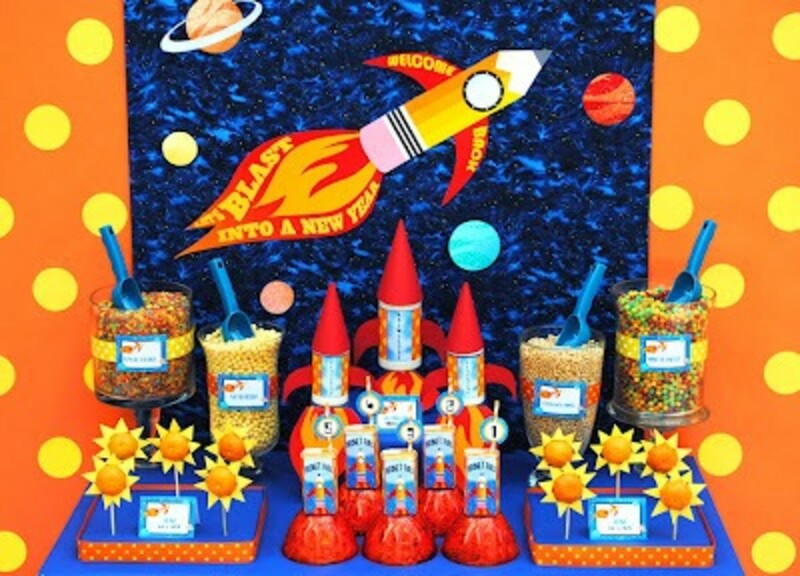 Rocket fuel juice boxes! Clementines as suns on sticks! Cereal box jet packs! And the best part, the entire collection is FREE!! 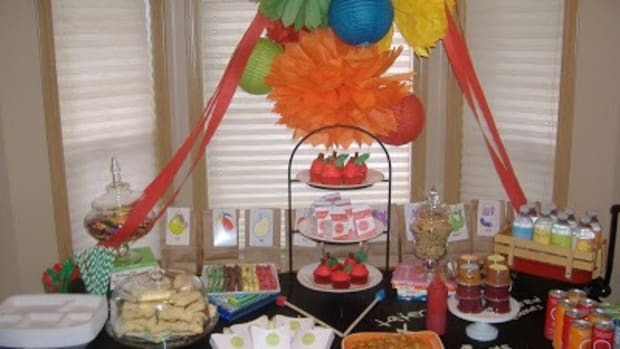 Another spot for inspired party awesome is Amanda’s Parties To Go. She always has the most clever ideas for the simplest things. 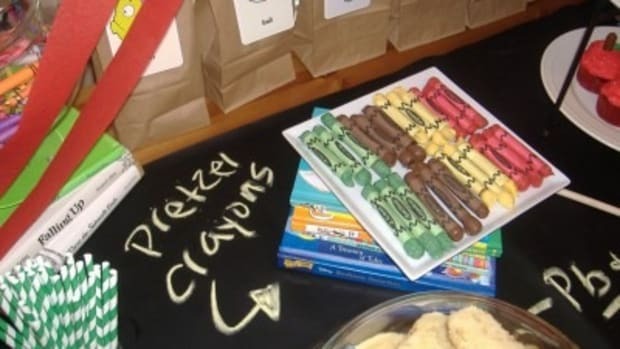 Combined with Crissy’s Crafts’ styling, hang on for more exclamations, like pencil licorice! 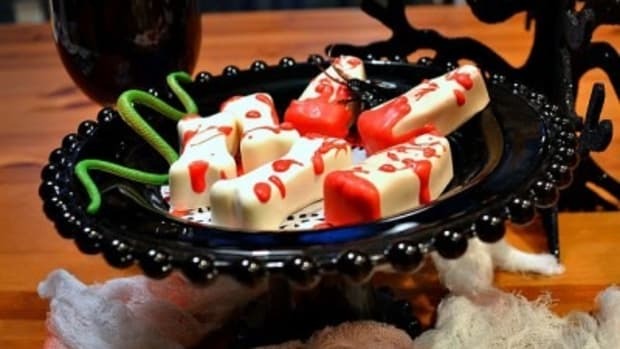 Adorable treat bags! 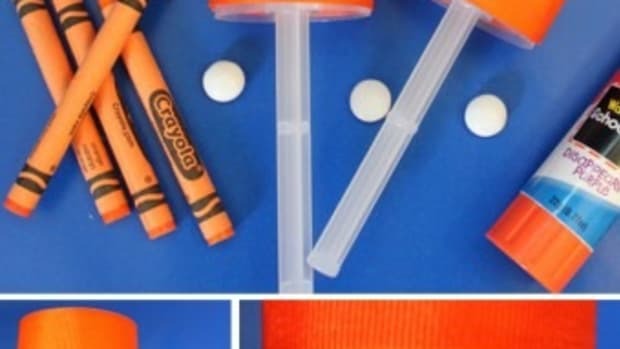 Clever crafts! And again, this entire collection is also FREE!! Check out when I teamed up with Sugarsticks Parties to style her Vintage ABC collection. A few tweaks and it’s perfect for heading back to school. 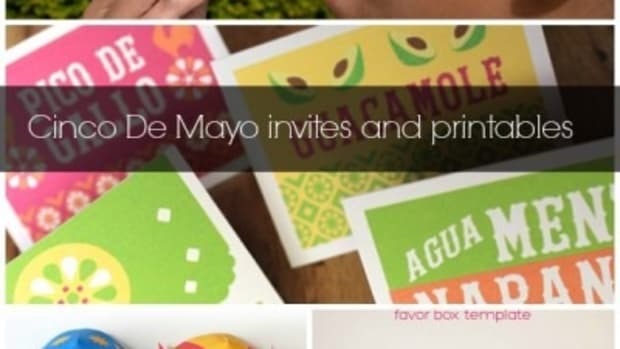 These classic primer printables never go out of style. 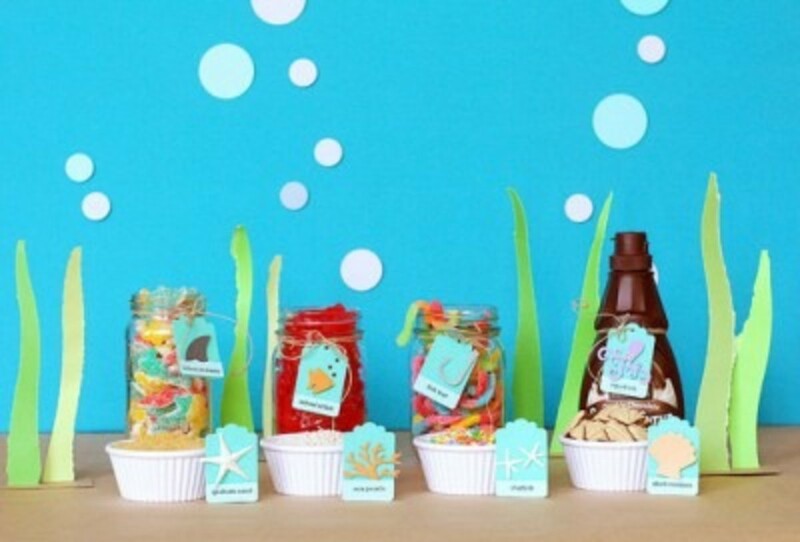 Look no further than She Of Craft Wars, Passion For Parties’ Back To School party page for everything from snack ideas and decor tricks to wait for it…free printables! 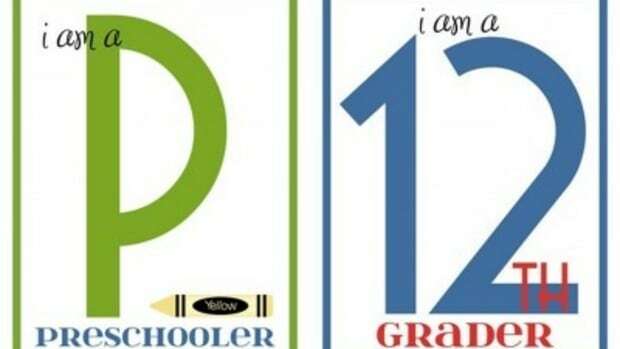 Happy School Year! 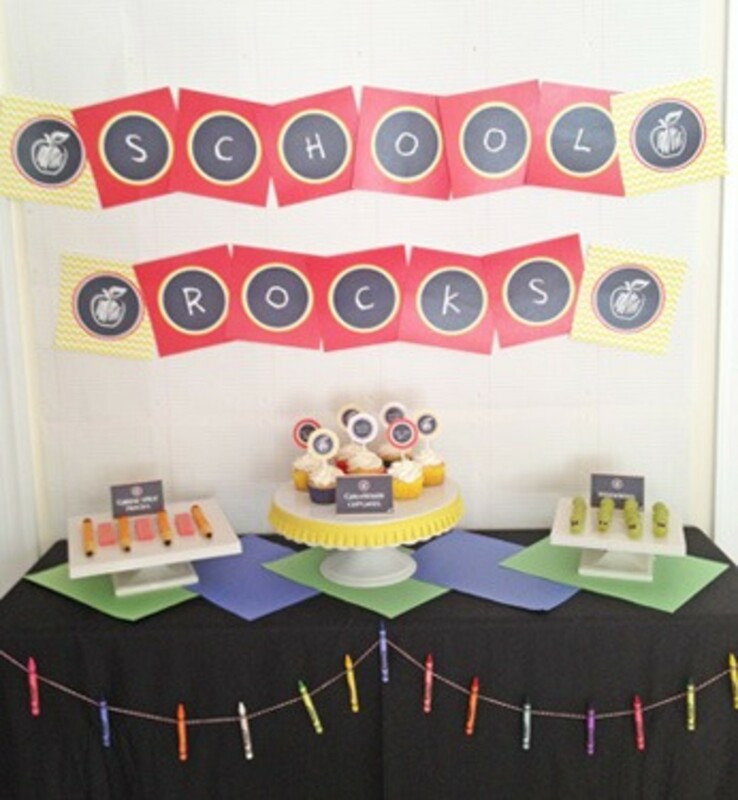 Last fall, I welcomed the kids back with a bit of disco flair, milk and cookies, and a dessert table made up of school supplies. 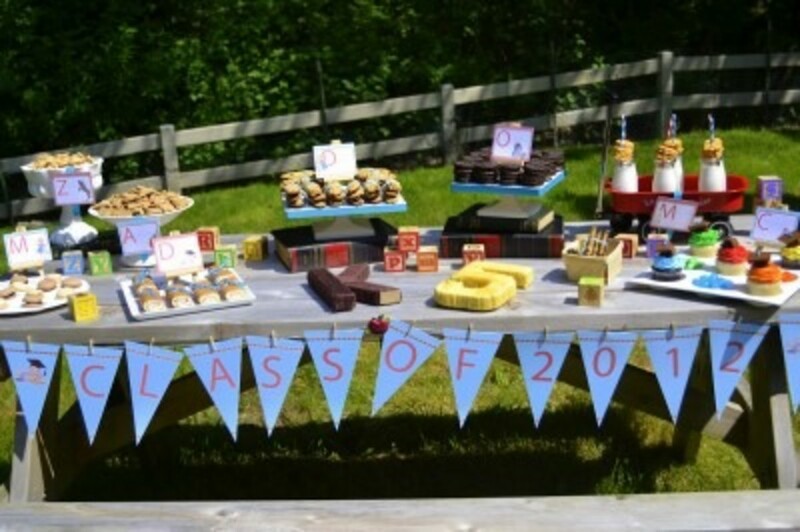 You can’t tell me this Back To “School” party from Lisa Storms of Fiskars isn’t the most clever thing you’ve seen! Need more inspiration? 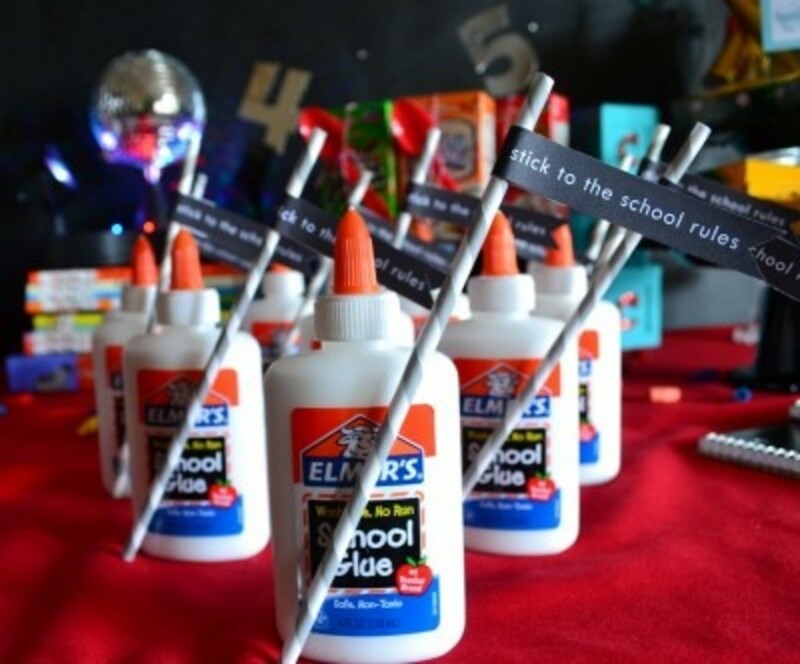 Check out last year’s post for more school-themed parties. Have a fabulous start to the new school year!